I’ve long thought about and planned to write on journalists who have been based in Saudi Arabia and the wider Gulf and who write about the realities of life in the Arabian Peninsula. The first person I’m writing about is a woman I have admired for years and whose reporting is still a lesson to all of us in the media industry on both how to write both objectively and arouse the reader’s interest. 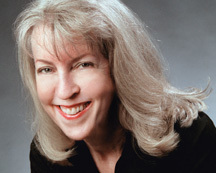 Caryle Murphy is a multiple award-winning journalist, author and scholar. She’s devoted herself to her profession and her recognitions, including a Pulitzer, hardly do her talents and impact on the profession justice. Before I start here’s a brief biography on Caryle from the Washington-based Woodrow Wilson International Center for Scholars where she was a Middle East Program Public Policy Scholar up until July of this year. An independent, freelance journalist, Caryle Murphy was a long-time reporter for the Washington Post, covering both domestic and international affairs for the paper. She also is the author of Passion for Islam (Scribner 2002), which explains Islam’s contemporary revival and the roots of religious extremism in the Middle East. From 2008-2011 she worked in Riyadh, Saudi Arabia, where she reported for GlobalPost, the Christian Science Monitor, and the National in Abu Dhabi. Murphy has been appointed a public policy scholar at the Woodrow Wilson International Center for Scholars in Washington for the last quarter of 2011. She was awarded the Pulitzer Prize for International Reporting (1991) and the George Polk Award for Foreign Reporting for her coverage of Iraqi-occupied Kuwait from inside the emirate. She was also a recipient of the Courage in Journalism Award from the International Women’s Media Foundation and the 1991 Edward Weintal Diplomatic Reporting prize. In 1994-1995, she was the Edward R. Murrow Fellow at the Council on Foreign Relations in New York. I had the privilege of meeting Caryle for the first time when she moved over to Riyadh in 2008. I’d been at the launch event for the English-language The National newspaper in Abu Dhabi and had been watching a video made by all of their foreign correspondents. The person who stuck out the most was this American blonde lady who had the Faisaliah Tower behind her and confidently proclaimed that she was The National’s Saudi correspondent based in Riyadh. Intrigued by the thought of an American female reporting from the heart of the Kingdom, I fired off an email to Caryle asking to meet with her. What you’ll first notice about Caryle is how sharp she is as an interviewer. She’ll have done meticulous reading on a subject and she’ll get to the crux of the matter in no time. Having seen her do numerous interviews I know that Caryle isn’t afraid to ask about any subject, no matter its sensitivity. However, she’ll always be aware of cultural taboos and will frame questions in such a way that her interviewees would not feel offended, insulted, or unable to answer. During her time in Saudi Caryle has written on women’s rights, the issues surrounding 9/11, religion and state, and the role that tradition plays in this deeply conservative country. For me, what has stood her apart has been the way in which she has crafted her writing, and how she asks questions of her readers. Caryle humanizes a story in a way few others are capable of. The sad news is that Caryle is no longer based in the Middle East. She’s still writing on the region from the US however. You can follow her on Twitter at @CaryleM and also read her archive of work for The National here. Carlye also has her own website which is http://www.carylemurphy.com but this is undergoing a sprucing up at the moment and so may not be viewable. However, do check out the below video from the beginning of 2012. Caryle is talking at USC Annenberg School of Journalism about Islam and Saudi Arabia. And if you’re reading this Caryle, I can’t wait to read your next piece of work on the Kingdom and the Middle East! This entry was posted in Journalism, Saudi Arabia and tagged Caryle Murphy, journalism, journalist, Saudi Arabia, the national by alexofarabia. Bookmark the permalink. Alex, you’re right – Caryle is awesome. She is not afraid to tackle sensitive issues and does so with facts, clarity and no bias. I wish all reporters could write so clearly and distinctly as Caryle and especially when tackling the unique issues within Saudi Arabia.